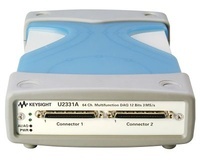 The Keysight U2802A 31-Channel Thermocouple Input module is a thermocouple input signal conditioner device that functions to convert low input voltage signal from a thermocouple into an output voltage range suitable for the data acquisition device. The U2802A thermocouple signal conditioner is to be used together with the U2355A and U2356A model data acquisition to enable thermocouple inputs. To find out more of the U2355A or U2356A, please go to the U2300A web-page. 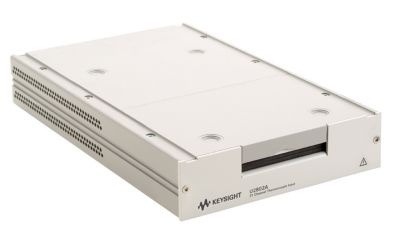 Giving users more flexibility, the U2802A is compatible with a wide range of application development environments such as Keysight VEE, MATLAB® R2007a, NI LabVIEW and Microsoft® Visual Studio®.